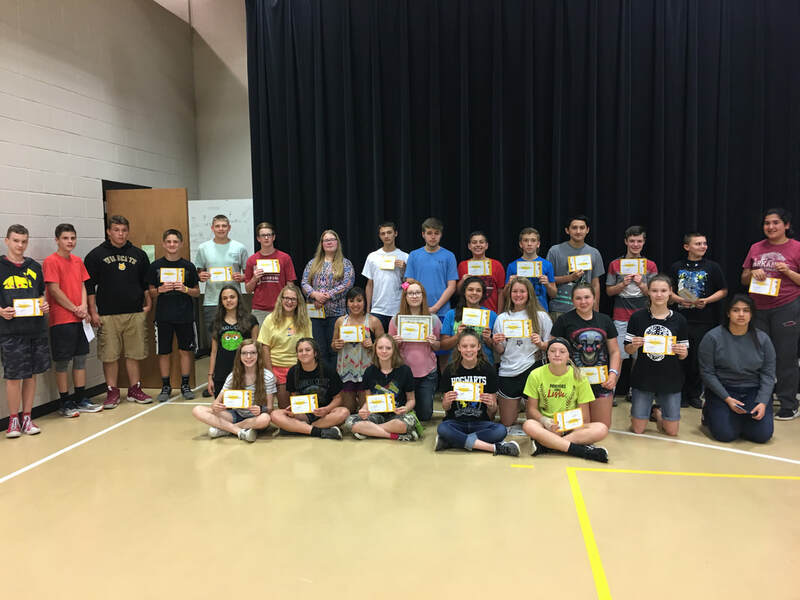 Cassville Middle School recently presented attendance awards during the spring awards assembly at the school. 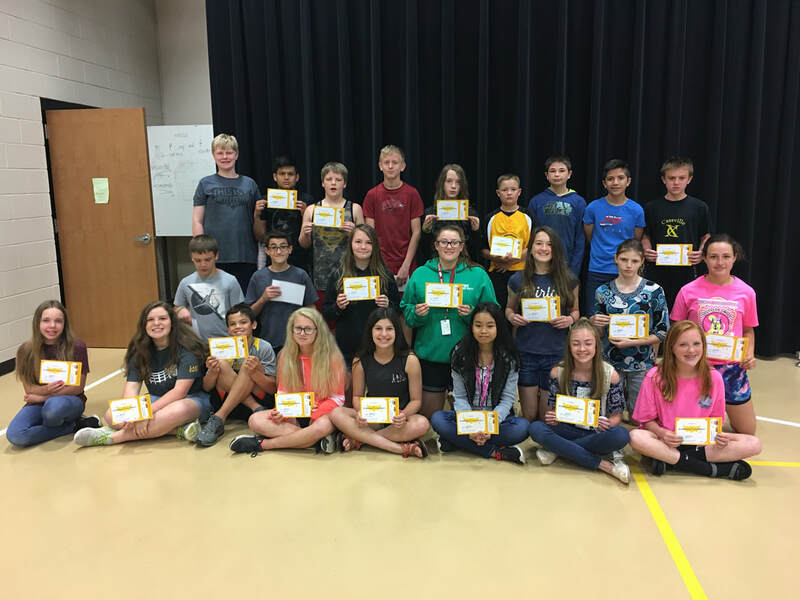 The school teamed up with Subway restaurants and gave out certificates of achievement, along with a coupon good for either a six-inch sandwich or a kids’ meal. 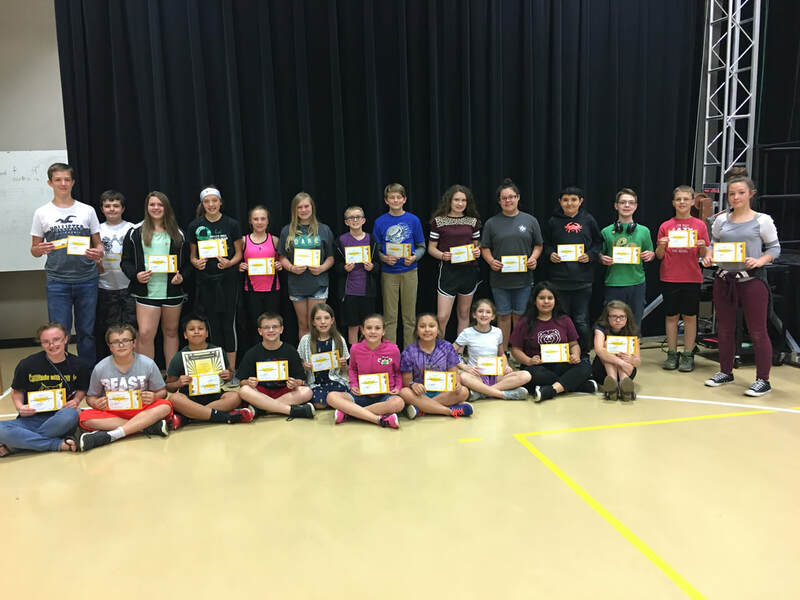 Cassville was one of 83 participating schools to award some of 9,476 extraordinary students in the greater Springfield area. 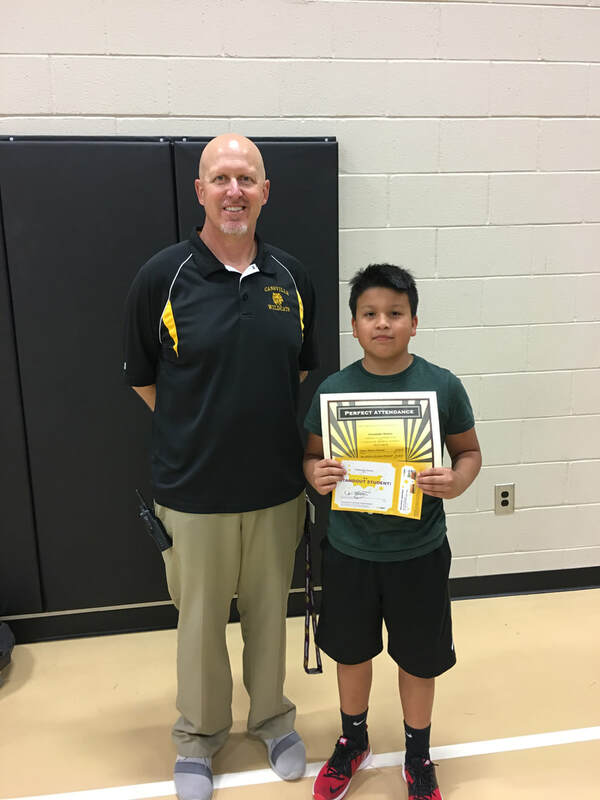 Sixth grader Fernando Alonso earned perfect attendance for the 2017-2018 school year. He is pictured above with CMS principal Jimmie Barton. 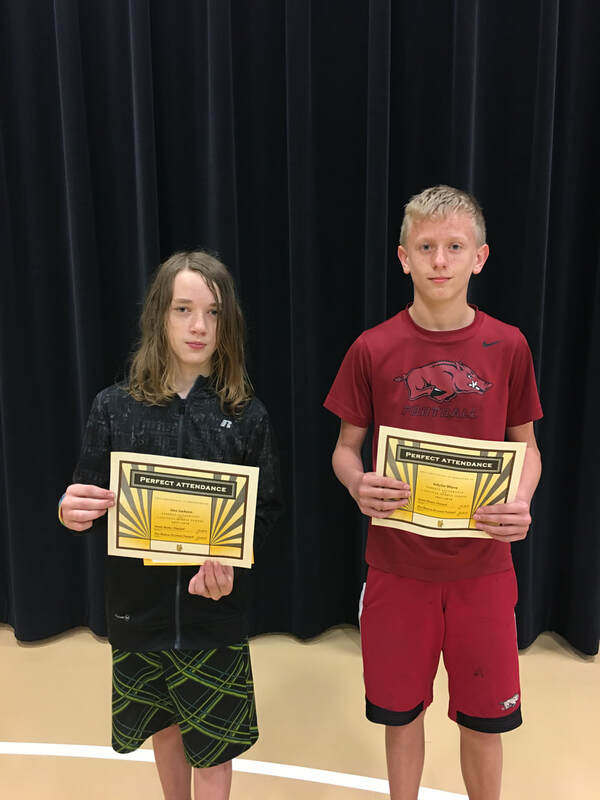 Seventh graders awarded for perfect attendance are pictured above, from left to right: Alex Jackson and Schylar Bilyeu. Eighth graders awarded for perfect attendance are pictured above, from left to right, with principal Jimmie Barton: Autumn Banks, Anthony Clark, Maria Ruiz, Kalsie Murphy, Josh Case and Monserrat Moreno. Sixth graders recognized for 98. 65 percent attendance are pictured above, from left to right. In the front row: Shannon Aplin, Joseph Burton, Fernando Alsonso, Andrew Gray, Emma Berndt, Makenna Hagins, Angeles Ruiz, Josie Keeven, Natalia Luna and Summer Banks. Back row: Jonathan Dunbar, Justin Case, Josie Bivens, Pazlee Burbridge, Gracee Cornell, Zoie Coupland, Tristen Jack, Blake Stockton, Garrin Madison, Brooklyn Mitchell, Emilio Perez, Christian Renkoski, CJ Rose and Haley Higgins. Seventh graders recognized for 98.5 percent attendance are pictured above, from left to right. In the front row: Kalia Miller, Maci Barton, Jake Anthonysz, Ashlynn Bryan, Marianne McCrackin, Pray Meh, Ella Reuter and Treva Samuel. Second row: Wyatt Alexander, Charles Elliott, Faith Correia, Brayla Moller, Kristen Stough, Breanna Saige and Macie Walker. Back row: Hunter Annecharico, Hernan Hernandez, Christian Tidwell, Schylar Bilyeu, Alex Jackson, Mason Gautney, Travis Morris, Ivan Perez and Nick Sanders. 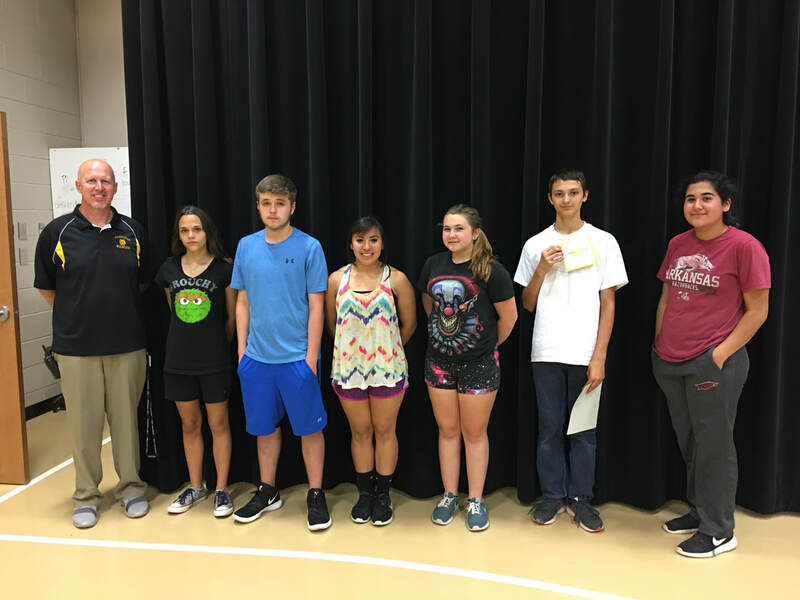 Eighth graders recognized for 98.5 percent attendance are pictured above, from left to right. In the front row: Samantha Sparkman, Adryana Quinlan, Kaydence Saige, Lexi Yockey and Tanlie West. Second row: Autumn Banks, Windy Dunfee, Maria Ruiz, Taylor Emery, Ali Marcucci, Isabelle Edwards, Kalsie Murphy, Lily Love and Mayra Ibarra. Third row: Jesse Taylor, Elijah Pickett, Garrett Kritz, Corey King, Rylan Wilson, Brody Barbee, Allison Boley, Josh Case, Anthony Clark, Wyatt Cochran, Cutter Hicks, Marcus Rivera, Dylan Renkoski, Darian Sandoval and Monse Moreno.